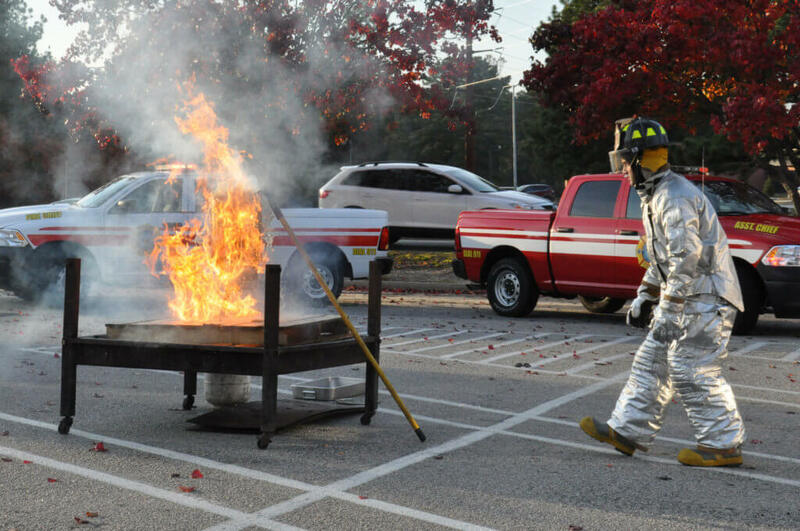 Turkey Fryer safety is very serious. As Thanksgiving approaches us this bleak November, so do the annual safety tips that most Americans tend to ignore. And while no one wants to be reminded that although Thanksgiving allows us unforgettable moments with our loved ones, it also is the one day of the year for horrendous and damaging fires—such a deadly statistic cannot go unmissed. Perhaps if more people knew that between 2014-2016, fire departments across the United States responded to an astounding 2,400 residential building fires on Thanksgiving Day, then Americans wouldn’t leave whatever happens to be cooking their turkeys unattended. And these days, Americans are becoming increasingly more creative with how they serve these iconic birds. Deep fryers and the art of deep-frying everything and anything have become not only an American obsession but also an American pastime. The trend has made its way into Thanksgiving preparations, and thus, the deep-fried Thanksgiving Day turkey was born. Honestly, nothing beats a deep-fried turkey—the perfect crispiness of the golden skin with the delectable, juicy meat waiting for you beneath it. But like the science-made-art of deep-frying a turkey, there is also skill in operating a deep fryer. The United State Fire Administration (USFA) advises those in charge of cooking the bird to follow a few safety tips. Some recommendations are common sense, but with the holidays being a rush of relatives, planning, and a side of typical family drama, they can be easily forgotten. Your fryer should always be outdoors, even if you have to tromp outside in the biting cold—safety first. The fryer should be kept away from anything flammable, and this includes your garage and wooden decks. And while this one seems obvious, a few beers into cooking one could forget that placing a fryer on an uneven surface can lead to it tipping over, leading to regrettable and dangerous consequences. 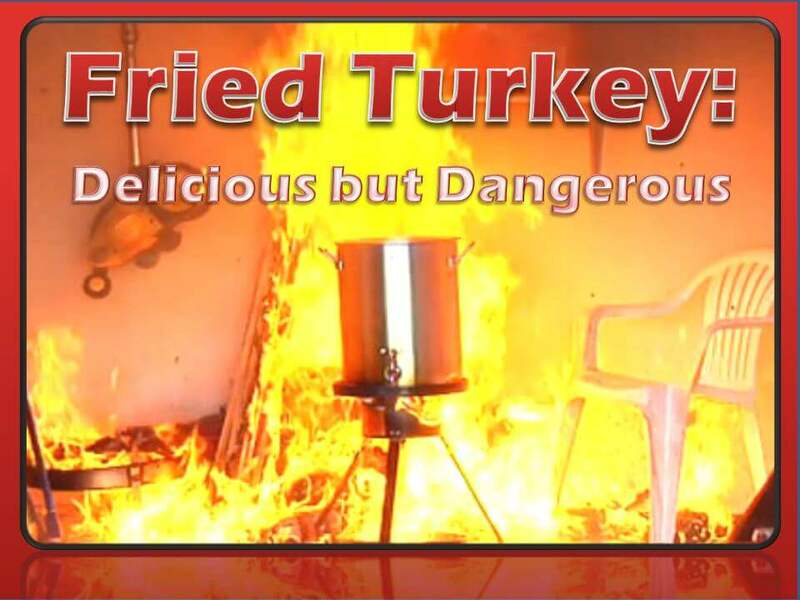 Keep kids and pets away from the fryer at all times, and this includes after the turkey is finished and removed. 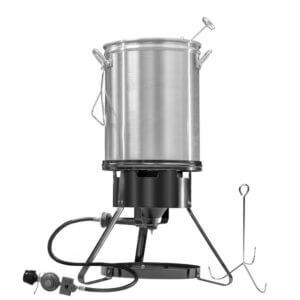 The biggest concern for fryers is the oil, which can remain hot and dangerous for hours after use. Chefs will also want to be careful with water and marinades, as oil and water are not friendly and an overspill can easily erupt in a fire, or even an explosion hazard. Another tip for frying chefs—never leave your fryer unattended. You might be tempted to sneak inside to catch a few disappointing moments of the game, or become distracted by the siren-like aromas of fruit pies, brown sugared yams, and garlicky potatoes, but that oil takes just a few minutes to heat up and catch fire. Many fryers don’t have thermostat controllers, and without your watchful eye, the oil doesn’t take much to take on a life of its own. And if deep fryers aren’t your thing, it doesn’t mean you’re in the clear if you choose the traditional oven-roasted method, either. Ovens are just as dangerous as a deep fryer, and there are general safety guidelines you should keep in mind when prepping and cooking your bird. Don’t believe us? 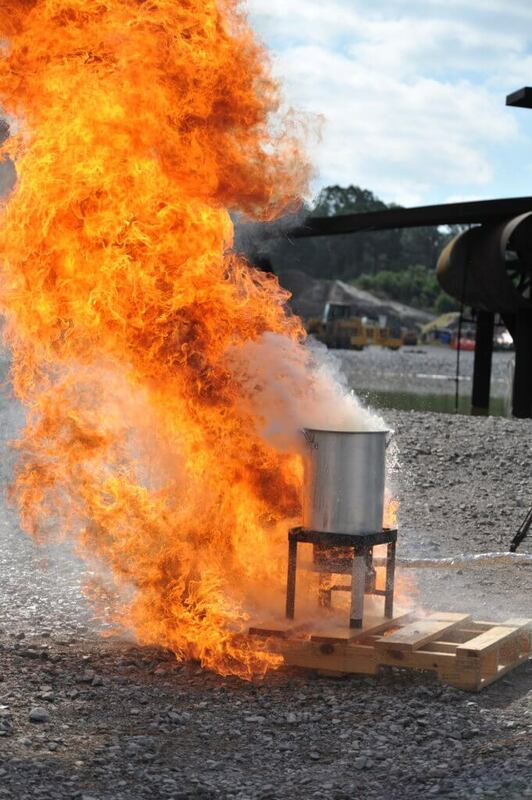 Watch these top 15 turkey frying disasters to know some sense into you. A basic precaution is to equip your home with smoke alarms—and not the ones that have existed for decades since you purchased the home. Replace smoke alarms that are ten years or older, and although you hopefully won’t need them, if a fire ever breaks out in your home, you’ll be glad you did yourself this favor. Move away anything that doesn’t need to be near your stove. This includes dishrags, aprons, utensils, wrappers, and yes, your children. Corral the over exhilarated kids into their own area and keep the kitchen a kid-free zone. Avoid wearing clothing that could potentially be a fire risk, like loose sleeves. You might be using a stove to cook your turkey, but the same rules apply, like keeping your eye on your cooking. It’s easy to get distracted while you’re in the house with relatives and friends, so keep a lid close by in case of a grease fire. Smother any grease fires with the pot lid by sliding it over the pan, turning off the stovetop immediately, and leaving the pan covered until it is cool. Cooking is the leading cause of these thousands of annual Thanksgiving Day fires. The USFA hammers in these statistics by following up their report of nearly 2,000 annual Thanksgiving Day fires with an average of five deaths, 25 injuries, and a whopping $21 million in property loss. And think of it this way: if you aren’t careful when you’re cooking, this could very well be you. Here is a Thanksgiving Fire Prevention you may read to prevent fires. Your Thanksgiving Day should not be set on fire by kitchen-central mistakes that could have been prevented with simple safety precautions. Your Thanksgiving should be filled with loved ones and irresistible foods with an un-burnt turkey as the starring feature.